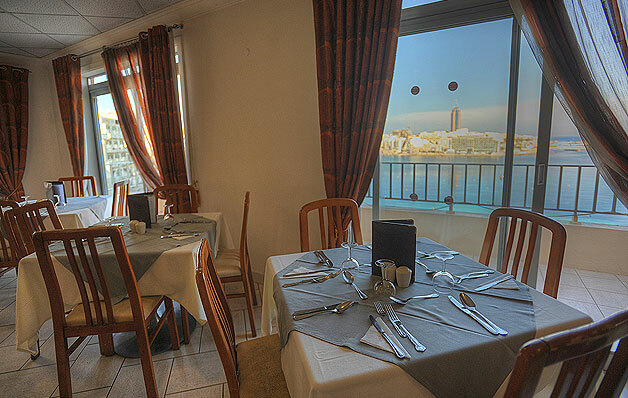 Located on the sixth floor of the hotel and commanding an extensive and picturesque view of Balluta Bay .The Plaza Hotels air conditioned Restaurant offers a wide variety of mouth-watering dishes that are sure to appeal to everyone’s taste. The Restaurant serves a lavish English & Continental buffet Breakfast. Dinner at the Penthouse Restaurant consists of a sumptuous buffet that includes a variety of starters, main courses & desserts. Our Chefs will be only too happy to accommodate special requests for vegetarian or gluten free meals. Hot tip for our guests who have booked on Room only or Bed & Breakfast basis - check out our attractive offers at the front desk.